This summer was an absolute scorcher, breaking solar generation records and briefly eclipsing gas power stations as the UK’s top source of electricity! 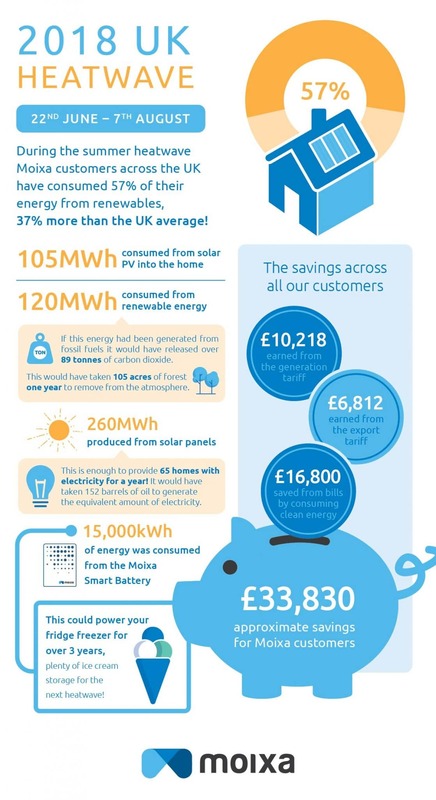 As the seasons start to turn and the summer sunshine becomes a distant memory, we decided to take a look back at the summer heatwave and the impact on solar for our Moixa customers! Calculations have been based on an export tariff of 5.24p, generation tariff of 3.93p and energy bill savings based upon an average electricity price of 14p/kWh.